Rough night of sleep? Feeling like you can’t fall asleep even when you go to bed early? Maybe even when you can sleep, it feels restless, and you don’t wake up refreshed? Believe me, I’ve been there. 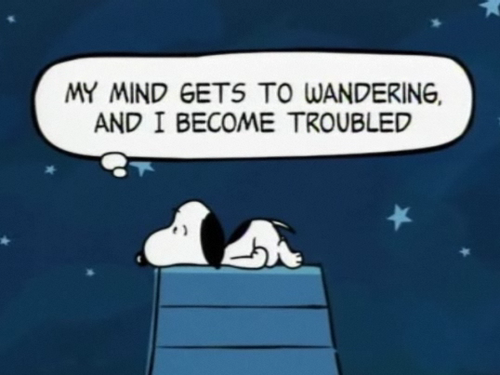 I always figured that sometimes we just have sleepless nights, and it’s not really a big deal, just another one of those annoying things we deal with in adult life. Then I discovered there were a lot of things I was doing that were probably contributing to my lack of sleep. It seemed the universe was not out to get me, I’d just been playing myself. So, in an effort to educate my fellow fools, and perhaps find some solace in the fact that I can’t be the only one doing these things, here are a few of the everyday activities that might be messing with your sleep. 1. Using your phone or other electronics right before bed. Everyone knows “I’m going to bed” really means “I’m going to hold my phone two inches from my face and go on Twitter for two hours until I drop my phone on my face and fall asleep.” Aside from the obvious issue that messing around on your phone is not sleeping, the after effects are there too. 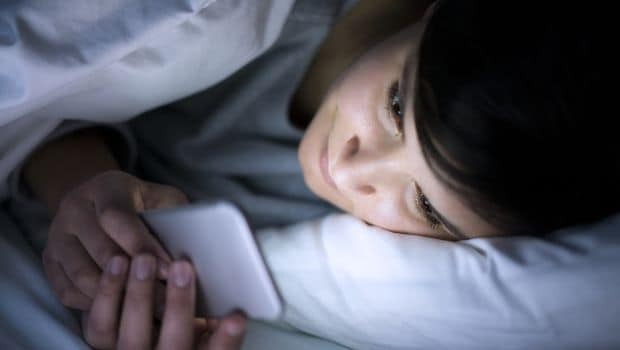 Even after you’ve finally put social media to rest for the night, the light they emitted has already done its damage on your natural melatonin levels, levels that help keep your internal clock in check. Various homework assignments that require laptop use are obviously unavoidable sometimes, but as often as you can, keep your leisurely use of electronics to a minimum before bed. 2. Taking naps too frequently or for too long. Unfortunately, it’s a bit of a vicious cycle. You’re tired because you didn’t sleep well, so you take a major nap, but then you’re thrown from your nap so you can’t fall asleep, so you’re tired the next day so you take a nap….and so it goes. Now, I am a huge advocate of naps, so I would never advise ruling them out completely. That being said, I do strongly suggest limiting them, probably no more than one nap a day, and it shouldn’t last more than about 30 minutes. Half an hour should be enough to recharge and refresh your body without throwing off your natural rhythms. Keeping these naps earlier in the afternoon instead of late evening is also a good habit to keep. Save nighttime slumber for your full 7-8 hours, not for cat naps. Despite the fact that alcohol has a reputation for helping you fall asleep, it’s not really conducive to a good night’s rest. True, it may help you fall asleep, but in the larger picture, it messes with your sleep in the second half of the night while the alcohol works its way through your system. By that same token, drinking too much caffeine will mess with you too. Caffeine is a stimulant, and while it’s great to keep you awake during the day, having too much later in the evening will linger in your system at night. If you simply must have coffee at night, get it decaf. And watch out for certain teas. A quaint cup of tea before bed sounds nice, even soothing, but plenty of tea is just as caffeinated as a cup of coffee, so check the label before you put the kettle on. We’ve all been there. You’re snuggled up, ready for a refreshing snooze and then suddenly, your brain decides to remind you that you have a paper due this weekend. What are you going to wear tomorrow? Is there anything else you’re forgetting? Is your friend still mad at you? Will you ever find love? Before you know, you’re drowning in a tsunami of thoughts and the release of sleep has eluded you again, replaced by wakeful anxiety. Don’t just lie there and think about all of these things, worrying about what you’ve forgotten or what you might forget in the morning. Get up and write it down. Grab a pen and a sticky note, write down the things you’re worried you’ll forget, or better yet just start writing down your rambling thoughts in a journal. This allows the thoughts to get down on paper and out of your mind. As a bonus: don’t keep looking at the clock when this happens. It will only stress you out more. Especially in these winter months, it can be so easy to just laze around all day and neglect any sort of exercise regime. That being said, keeping up with a regular, albeit simple exercise routine can work wonders for your sleep. Not only are you likely to be more tired around bedtime, even ten minutes of cardio a day can improve the overall quality of your sleep. Keep in mind that if you exercise to late in the evening, this can have the reverse effect. Exercise gives us a boost of energy, which, close to bedtime can prevent us from falling asleep quickly. Sleep is a tricky thing to come by, especially in a college environment. Sometimes these things will be simply unavoidable, and that’s okay. The idea is to establish more of a routine, and to promote healthier sleeping habits overall to keep your sleep schedule a little more well-rounded, and your internal clocks running—mostly—on time. It should also be understood that these. things are not miracle fixes; it could be a couple weeks before you start feeling the effects of change, and this is due mostly to your body learning to adjust to new habits. If you find that your sleeping habits are a little more severe, or you’ve tried it all and nothing has worked, there might be signs of a larger issue. In this case, maybe talk to a doctor about how you might adjust your sleep schedule, and if there is a larger force messing with your snooze sessions. Kate is currently a sophomore at the University of Pittsburgh, pursuing a double major in Non-Fiction English Writing and Psychology. You can probably find her wasting her money on concert tickets, drinking obscene amounts of Starbucks coffee, or effortlessly (and endlessly) quoting John Mulaney.